Regular Joe: Summer In London? Try Something Different. Summer In London? Try Something Different. * Hi - regular readers might know that I am based in London at the moment - still doing/available for work in Ireland, but enjoying one of the great cities of the world, especially now that the summer has arrived. And London does summer very differently to Ireland - it's an actual season, with lots of sun and very little chance of having your kids battered senseless by hailstones while you cower in a park in Dublin or Galway. ANYHOW! We have a lot of visitors who come to stay with us (popular, natch) and they always ask me about things they can do in London that are a little different from the usual touristy activities. "Sarf of the River at this time of night? 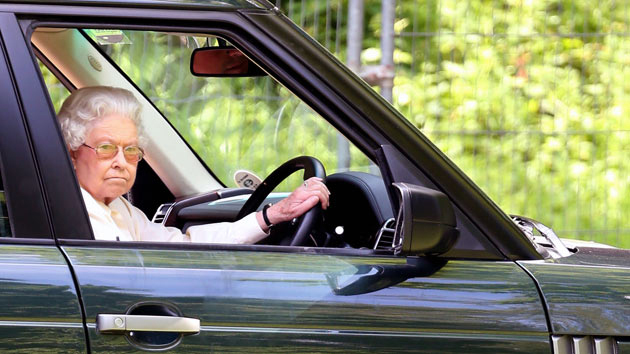 You're 'aving a laff, aintcha!?" LONDON! City of a thousand gourmet burger bars, botoxed Russian billionaires and prices so steep, you'll want to exit the Euro! But what about the London that only smug blow-ins and locals (if you can find one, seriously, endangered species) know about? I love exploring the city - and I love its more hidden spots, where you can see London from a different angle, get a real sense of a madly hectic, ever evolving city where people fondly remember the last wave of immigrants who used to live round 'ere before the current wave of immigrants. Seriously, just look at Brixton - posh-ish suburb in the '30s, Irish enclave in the fifties, Afro-Caribbean in the '70s and '80s and now full of South & Central Americans, hipsters and Africans (also a lot of Aussies, but that's more the Clapham end so don't go up there). Would seriously recommend this place if you are down in South London - just take the Victoria Line South to the very end, come out, turn left then left again down Electric Avenue (say hello to Eddy Grant) and you will find a series of huge, indoor arcades stuffed with weird shops and some of the best eating and drinking you will find in London. It's very trendy, but still very "local" and always surprises - take a few hours and wander around - great food, loads of outdoor seating and lots of colour. 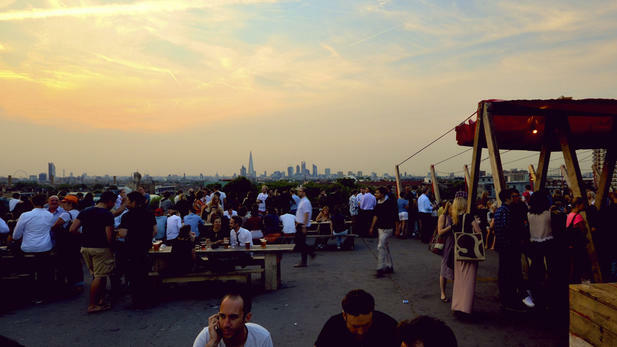 Brixton's great for a wander - but being gentrified at an alarming rate - so get down there fast. Bizarrely located in a pretty nondescript, dowdy part of Suburban East London, this Medieval royal palace, a childhood home to Henry VIII - has an amazing secret. 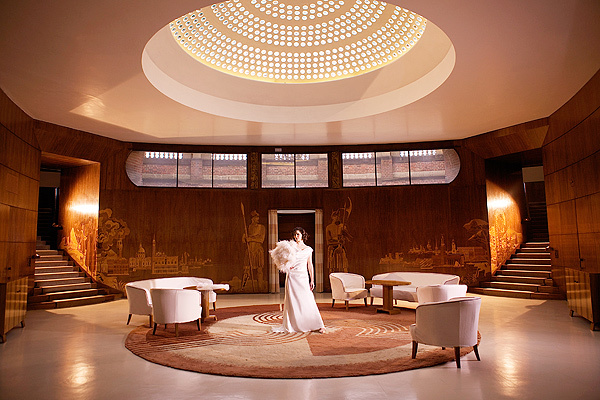 The fabulously wealthy and glam society couple Stephen & Ginny Courtauld bought what was a derelict site in the 1930s and built a stunning art deco country house within the ancient moated grounds - grafting it onto the remains of the Medieval Great Hall. It's a stunning example of British Art Deco that was only their home for a brief few years before and during WWII (when the couple and guests would sit on the lawn on a hill high over the city, looking at the Luftwaffe pounding away at London). It's now run by English Heritage and may seem like a bit of a trip out of the city centre - but it is gorgeous (with great gardens) and can be done in a morning or afternoon. 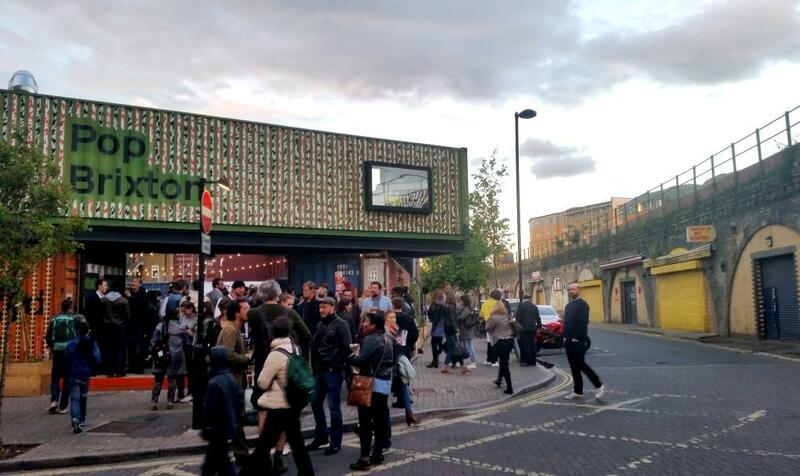 Latest craze amongst novelty-obsessed diners in London? Having drinks, dinner etc in a former Victorian Public Convenience. "Excuse me, where are the toilet...oh, right!" Seriously, there are now about 15 mostly high-end cocktail bars and cafes in porcelain palaces that once only had menu options Number 1 and Number 2. The Attendant Cafe (geddit?) up on Foley Street in W1 offers high end coffee and sandwiches in a urinal based setting - really, you sit in former urinals. These are all underground and all magnificent tributes to the love lavished on public toilets by the Victorians. And "Story" down by Tower Bridge is a Michelin starred eatery in another disused Victorian WC. See more about Attendant - on their website. Down a mews-lined laneway in Belgrave, right in the heart of the embassy district, this is a small, lovely old London pub - a real star of the pub scene - if you find yourself in this neck of the woods and fancy a lovely pint of beer in a very unusual, quiet setting, check it out. Hard to find - would recommend you downlond the CityMapper app https://citymapper.com/ - a great, free way to navigate your way around the city. Gordon's just by the river - you can have a little alcoholic picnic in a lovely setting for little money (but just keep the bottles discreet, strictly speaking, you are not supposed to be drinking there - but everybody does). * The Cutty Sark - Greenwich. Greenwich is a bit hard to get to - and very packed with tourists - but go to the market for a bite to eat (great Lebanese falafel stall there) and then walk down the river path in front of the Royal Hospital to the Cutty Sark pub - pub itself is so-so - but the long row of tables right on the river bank give you a great view of the river and the city - the nearby Trafalgar Inn is also worth a visit. Right - here's a good one - if you are down by the South Bank - the London Eye - in front of the Festival Hall main entrance there is LOADS of seating, right up over the river with views of the Houses of Parliament etc - and you can bring your own drink (or get drinks from the bar outside - or cheaper pints from the festival hall bar inside) - I LOVE this place on Fri afternoons - you see lots of colour and lots of people and can watch the boats going up and down the river and a Waterloo Sunset. 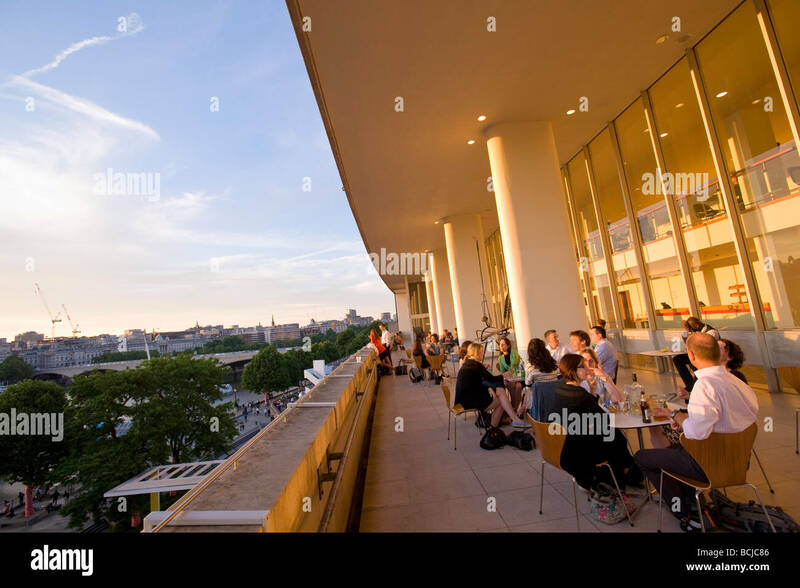 There is also an amazing terrace upstairs in the festival hall (see pic) which you can access for the price of a pint in the bar - gets busy at weekends - and they won't let you smoke up there - same goes for the nearby roof terrace (just look for the big yellow sign) so they can feck off. Go for a swim in the city - this is near Brixton - a lovely, 50m outdoor pool that's very popular with Locals and visitors alike in the summer - again, tends to get jammed at sunny weekends so get there early - great food as well and a lovely cafe. There are Lidos all over London - well worth checking out to see if there is one near where you are - the Serpentine Lake is one I plan to visit this summer. Yes, very posh and very expensive - but get the Tube up there and wander around - you can walk on the heath (good views over the city) visit the Lido or just hang in the cafes - very fashionable crowds and great place to have a goo at the quality. Soho is changing fast - and not for the better if you believe the anti-gentrification/keep Soho raw crowd. It's very busy but I would recommend the French House for drinks and the Bar Italia for coffee - to get a sense of the Old Soho that is very, very quickly disappearing. If you can't get into Artusi - check out the Begging Bowl Thai resturant nearby - cheap-ish and reckoned to be one of the best in South London. A rare survivor in a very unglam part of town - this is a mid-19th century music hall that - through a weird quirk of fate - survived being knocked down. * I realise I am only scratching the surface here - but hopefully there are a few suggestions you'll think worth following up - thanks for reading!